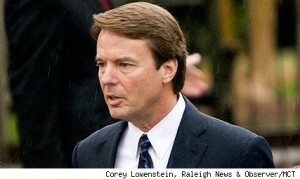 Reuters is reporting that the John Edwards verdict is out. The jury could only come to a unanimous verdict on one of the six counts. This, Reuters is reporting, comes from the jury foreman. Now the U.S. District Judge in the case said she would immediately decide whether to order the jury to continue deliberating or end the trial. Some of the news is a bit confusing because it appears now that the judge has ordered the jury to continue their deliberations. Stay tuned for a decision soon.